Time : 9:00 a.m. to 4:30 p.m.
We would like to iterate that in order to provide quality professional development to all valued members and to run this association effectively we need your full support and punctuality. Since seats for the session are limited, interested members are requested to kindly confirm their participation latest by Thursday, June 23, 2011 at registration@ptan.org or (36826991-94/36347611-14 Ext. 3203 / 3205), as this will facilitate us in organising the workshop effectively. ASSET Session on "Global Warming: The Final Warning"
Every year on June 5, "The World Environment Day (WED) is celebrated all around the world. Keeping the same theme in mind, ASSET has arranged an interactive workshop with the title “Global Warming: The Final Warning”. - To understand what global warming really is. - To comprehend how Global Warming Works. - To grasp why is global warming happening. - To recognize the difference between “global warming” and “climate change”. - To be aware of the effects of Global Warming. - To investigate certain proofs that indicate global warming is taking place globally. - To explore how is global warming measured. - To be aware of the ways which can help solve the problem of Global warming? - Gain theoretical insights into policy field. - Produce effective policies, implementation plans and monitoring and evaluation mechanisms. - Interpret policy messages, enact policies and engage critically with policy developers. - Analyse policy and implementation deficiencies, design policy research, communicate policy messages and lobby for policy shifts (changes). 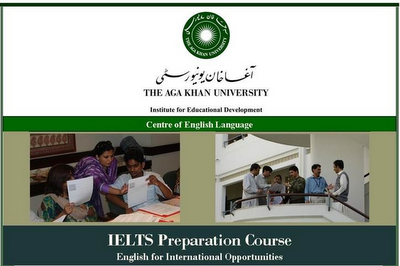 Venue: AKU Institute for Educational Development, Karimabad. Karachi. This course aims at building capacity of academic librarians to stay acquainted with the changing technological advancements and adopt smart information management and dissemination tools. • MARC application, tools to import/export, cataloging, classification, and author mark. • Developing and managing portal to disseminate information about the electronic and web-based resources. • Hands-on practice with one “off the shelf” integrated library system for cataloging, authorities control, circulation, and patrons management. • How to improve the reading skills. • Principles of knowledge management (KM), barriers to KM in the academic libraries and how to handle them. MAP session on "Fractions and Ratios"
We would like to iterate that in order to provide quality professional development to all valued members and to run this association effectively we need your full support and punctuality. Since seats for the session are limited, interested members are requested to kindly confirm their participation latest by June 16, 2011 at registration@ptan.org or (36826991-94/36347611-14 Ext. 3203 / 3205), as this will facilitate us in organising the workshop effectively. Since numbers of seats are limited, therefore confirmations will be necessary and based on first come first served basis. Interested members are requested to kindly confirm their participation latest by Thursday, June 23, 2011 at registration@ptan.org or PTAN Office (021-36347611-14/ 36826991-4 Ext. 3203 / 3205) or 0315-7793737 (Mr. Ghulam Issa Khan, District Coordinator, STEP, EDOE Office Hyderabad), as this will facilitate us in organising the workshop effectively.  Are you planning to study or train abroad?  Are you looking for better employment prospects?  Are you looking for personal improvement in verbal or written communication? If yes, then we can help you with IELTS preparation! Course Timetable: Monday to Thursday- 5:00 —7:00 p.m. The last date for registration is June 16, 2011. It will be on a first come, first served basis. All the training material will be provided.